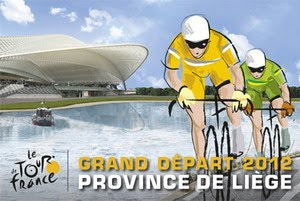 A route for the 2012 Tour de France has appeared briefly online a week ahead of the official unveiling. The details, which have not been legitimate, would appear to favour the chances of cyclists like Britain's Bradley Wiggins, with considerably less mountain stages and two individual time trials as well as a prologue. The Amuary Sports Organisation, who organise the tour, neither confirmed nor denied whether the route which appeared online was correct. "I can't tell you anything about this. We are fixing it now internally. The only person who could comment on it would be (race director) Christian Prudhomme himself," Claude Rasch told Cyclingnews. But with brief details of each stage appearing to fit some of the rumours circulating about the route, many have taken it as genuine. Wiggins' ability on mountain stages is not thought of as highly as the likes of current champion Cadel Evans, previous winner Alberto Contador, or the Schleck brothers. His 2011 Tour ended early when he crashed out having broken his collarbone, but he rebounded to finish third in the Vuelta a Espana. But where the 2011 route contained six mountain stages, four mountain finishes and a single individual time trial, the leaked route offers three mountain finishes and two individual time trials. With an increased number of flat stages in next year's Tour as well, there appears to be ample opportunity for Mark Cavendish to win stages and defend his green jersey in the 2012 event. However, Cavendish's plans are not yet known, with the Manx sprinter still to confirm his choice of team for next season.